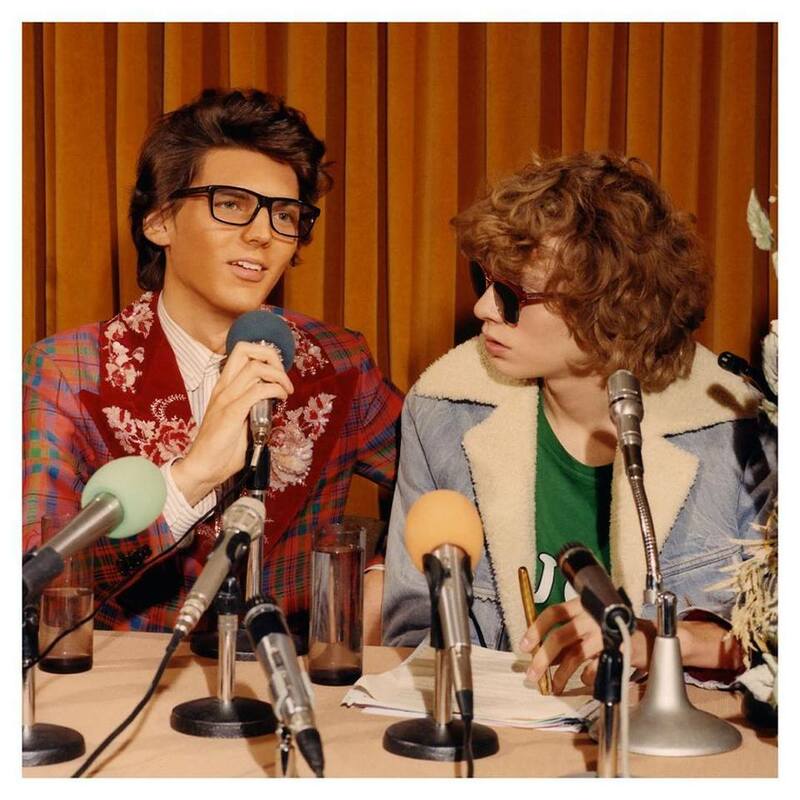 Italian fashion label Gucci gets inspired by the media and press conferences for the Fall/Winter 2018 Eyewear Campaign. 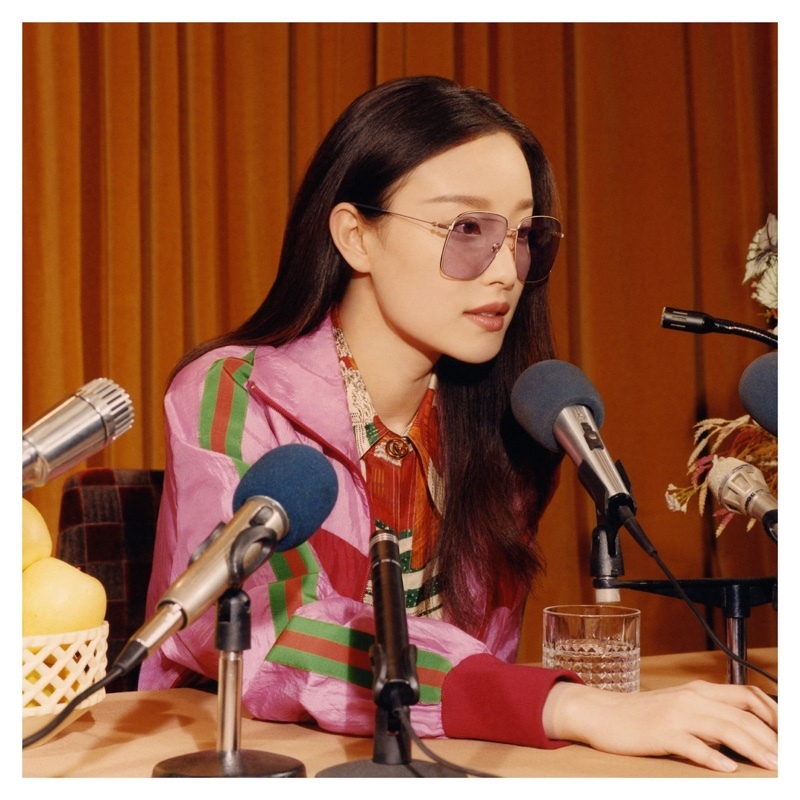 Photographed by Colin Dodgson, and featuring models Sedona Legge and Stella Lucia along with actress Ni Ni, the campaign gives off 70s vibes. 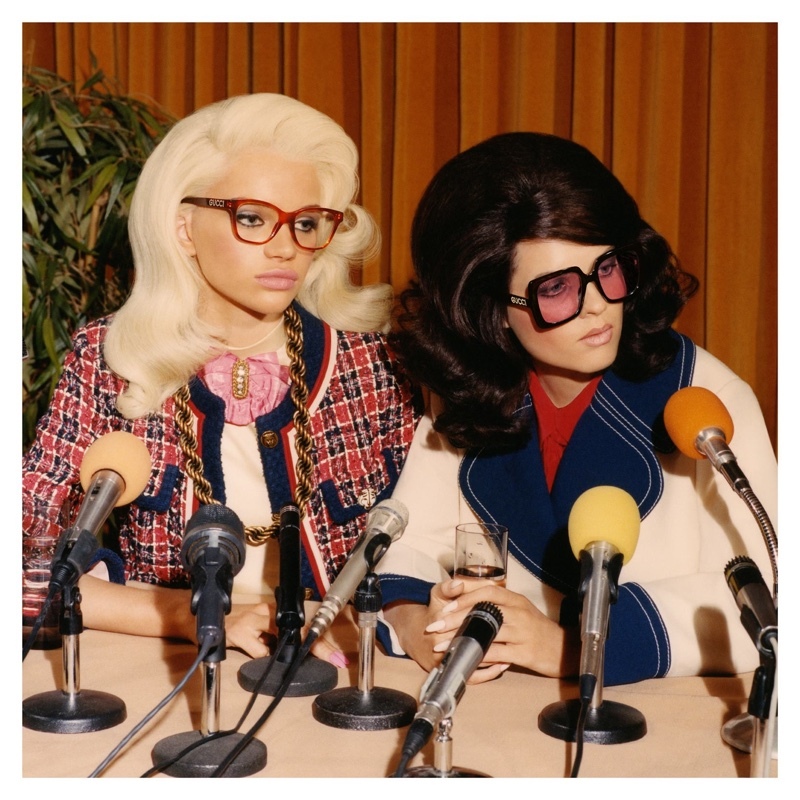 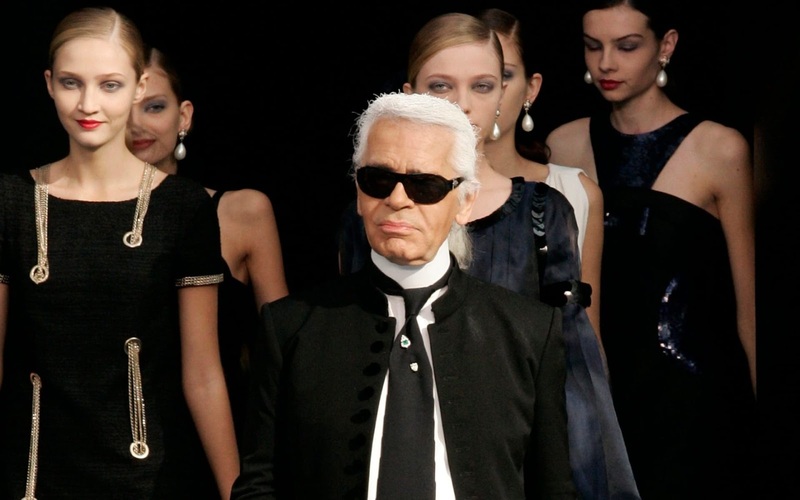 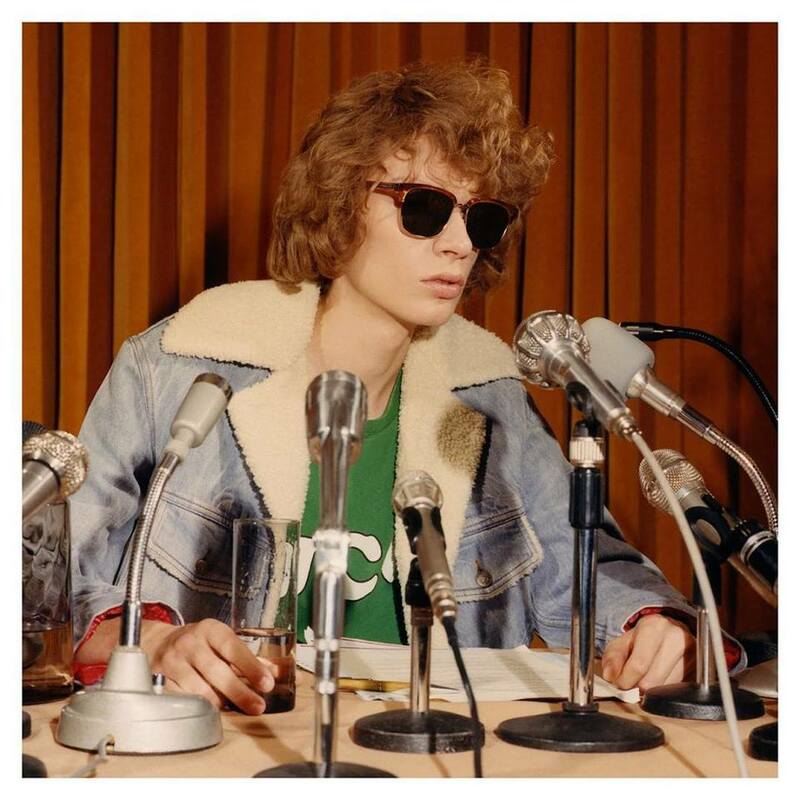 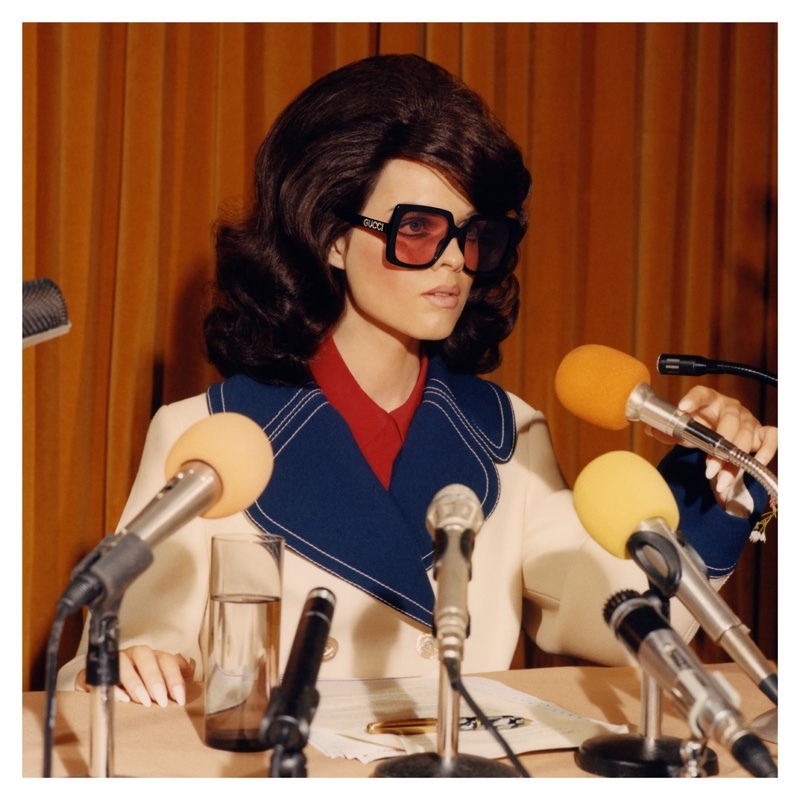 The models pose in a press conference setting with retro microphones placed in front of them, and they show off the designs of optical frames and chic sunglasses. 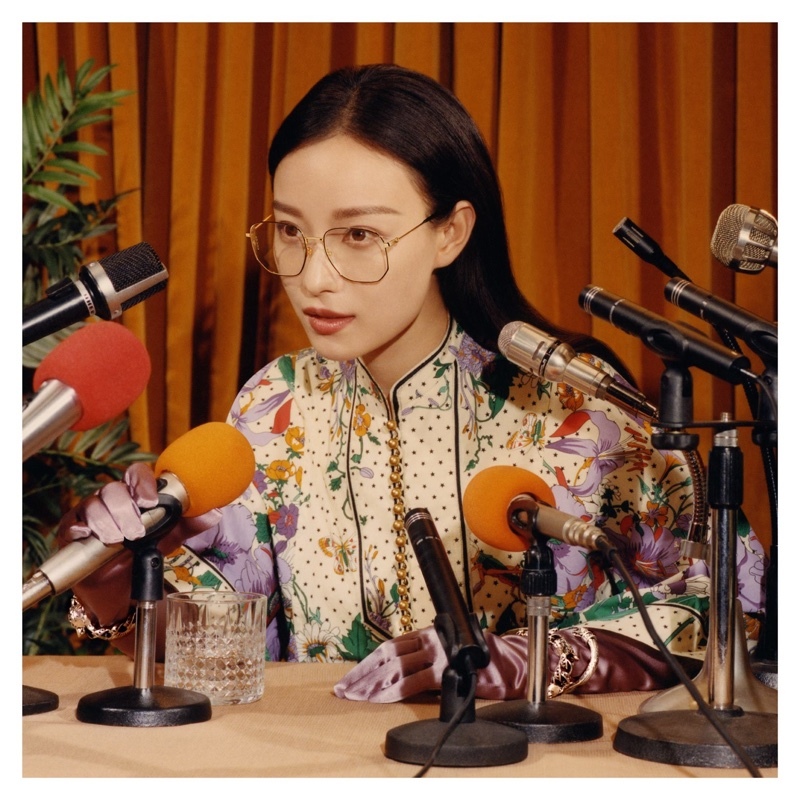 Christopher Simmonds works on the art direction for the shoot, and the models also star in a short video advert for the new eyewear collection by the high-end label.